Diverse and dramatic, this rainbow nation offers a world of experiences. Occupying the entirety of the continent’s southern tip, South Africa certainly does things on a grand scale. Head out on safari in search of the Big Five, tour the sun-soaked vineyards of the Cape, or cruise the Garden Route on a self-drive tour. Should the mood take you, your trip could veer from penguin spotting to wine tasting, to surfing, to safari and back again. With such a diversity of landscapes and habitats, South Africa is often referred to as the ‘World in one country’. Dramatic mountain ranges give way to vast savannahs and deserts to the north, two ample coastlines stretch 3,000km around both the Indian and the Atlantic oceans, while the monumental setting of Cape Town helps to create one of the world’s most exciting cities. South Africa really does have it all, so prepare to be bowled over. There are countless wonderful experiences to be had in this vast country. For further inspiration take a look at the trip ideas put together by our trusted local experts at the foot of this page, but in the meantime here are our top three things to do in South Africa. 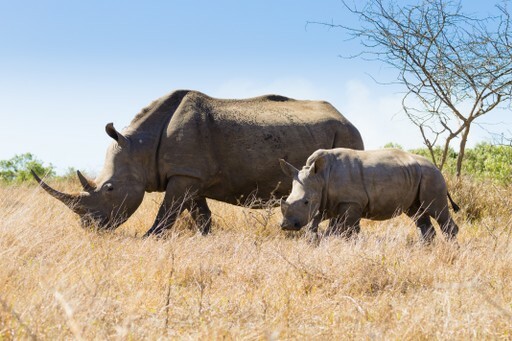 Famed for the Big Five – elephant, buffalo, rhino, lion and leopard - South Africa offers many opportunities to don your khakis and head out on safari. The country boasts over 20 national parks, including the big-hitting Kruger National Park with its lazy Limpopo River. Other national parks encompass forested coastline, wetland ecosystems, mountain ranges and deserts, and are home to a myriad of creatures great and small, from penguins and whales to flamingos and hippopotami. 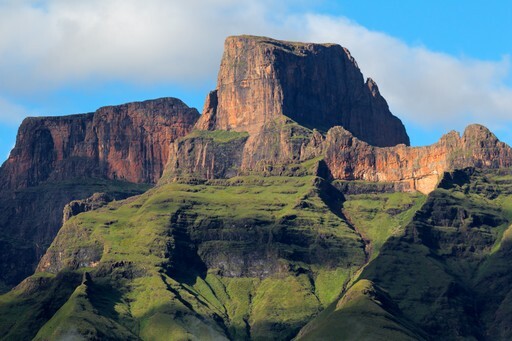 Known as uKhahlamba, ‘the barrier of spears’, in Zulu, the Drakensberg Mountain range is the highest in South Africa, reaching a dizzying 3,482 metres above sea level and spanning over 1,000 km. The towering basalt buttresses give you a clue as to how it earned its name and beg for exploration. The mountains are not only home to beautiful 'fynbos', but here you’ll also find the epic Blyde River Canyon with its incomparable views. 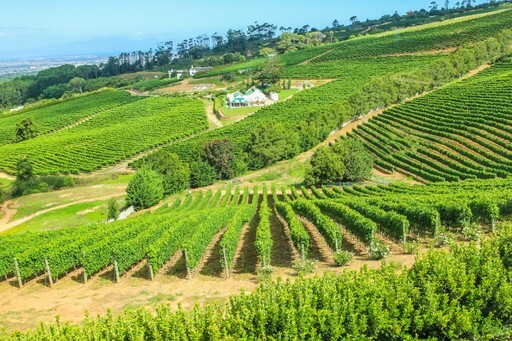 South Africa’s award-winning vineyards are centred on the fertile Cape. The towns of Stellenbosch and Franschhoek make great bases from which to quaff. Reds here are particularly full bodied and include Pinotage and Syrah, while popular South African white wines include Sauvignon Blanc and Chenin Blanc. A useful invention is the popular wine tram, on which you can enjoy a jovial jaunt around the vineyards without having to take the wheel. Weather tendencies in South Africa vary considerably by region. 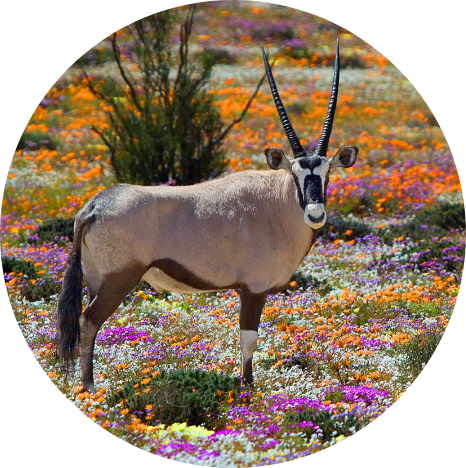 Visitors to Cape Town will wish to avoid May to July, the wet winter months, and target August to October, when the spectacular flowers of Namaqualand bloom. Beach lovers can visit Durban or the KwaZulu-Natal region year-round (quieter in winter), but game watchers may prefer a winter visit when minimal rainfall draws animals to watering holes, making for excellent viewing. Create your bespoke holiday to South Africa!